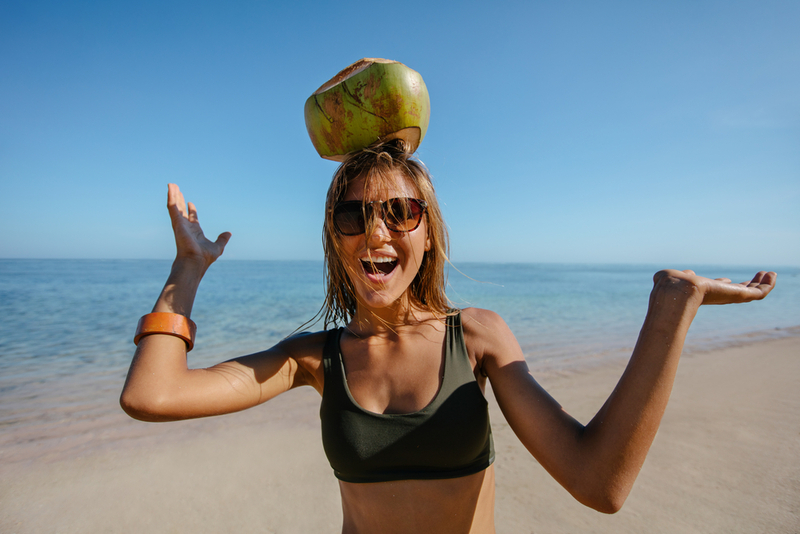 We are making your life easier, one coconut at a time! 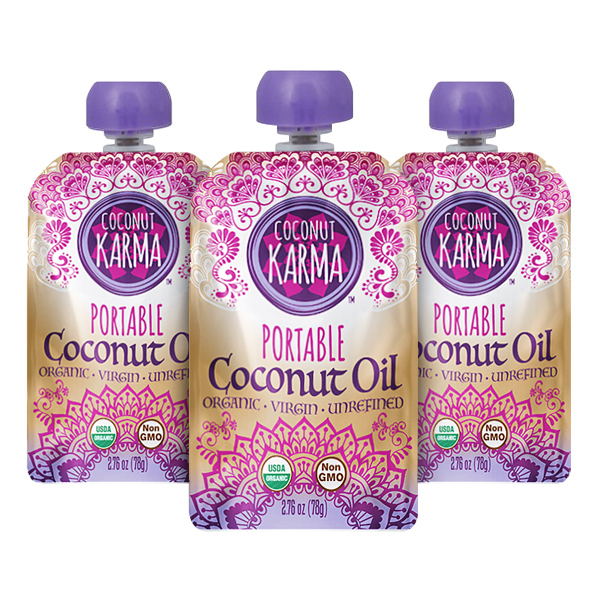 Coconut Karma is creating natural, Ayurvedic-inspired products that are clean and convenient. Our portable coconut oil pouch contains certified organic, cold-pressed, virgin coconut oil in a perfectly sized squeezable pouch. Coconut Karma launched in April 2017 and is the blossoming health and wellness sister brand to Coconut Cloud. Coconut Karma is on a mission to create natural, ayurvedic-inspired products that are clean and convenient; all inspired by the power of coconuts! 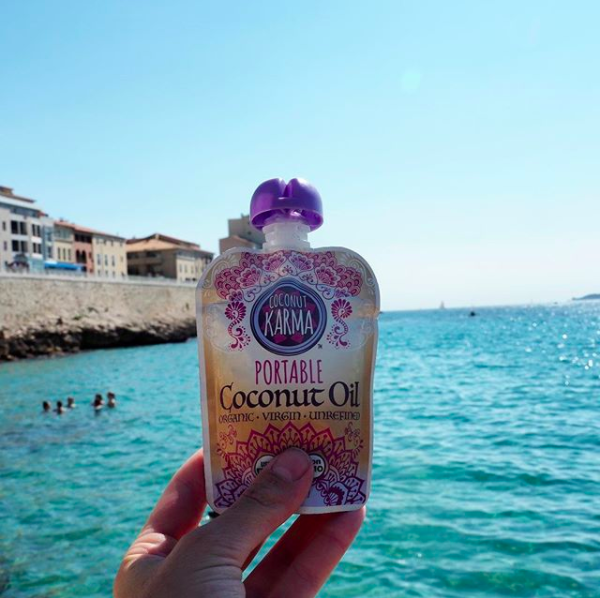 Coconut Karma Portable Coconut Oil is THE solution for the busy mom, corporate traveler, or on-the-go-Joe. The handy, travel-size pack with a re-sealable screw top comes TSA approved, meaning it can be stored in carry-on luggage without issue! Coconut Karma provides our consumers with innovative, healthy, convenient natural health and wellness products. Our brand ambassadors will have the opportunity to become a marketing expert for our brand and represent the brand’s philosophy and natural products that we are passionate about. Meet our sister brand, Coconut Cloud! Looking for a dairy-free, vegan, and non-GMO creamer? Our sister brand, Coconut Cloud, has a delicious line of dried coconut milk creamers that will add the perfect touch of creaminess and thickness to your morning beverage! Want to switch it up? Try our Matcha Green Tea Instant Latte or Turmeric Ginger Golden Milk Latte to jumpstart your day with antioxidants and flavor! It’s National Blueberry Pie Day! How are you celebrating?! We hope your Friday is a breeze! Cheers to the weekend!